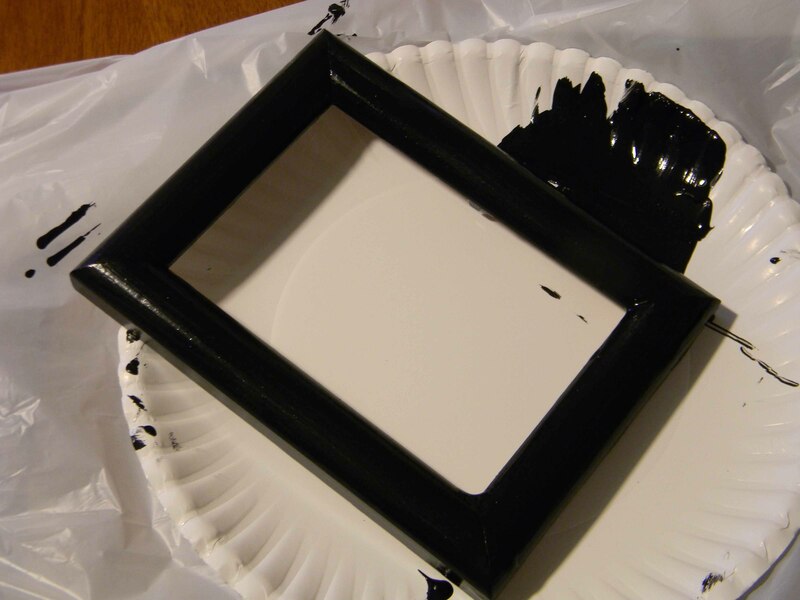 We started with a small wooden frame we already had on hand, and painted it black (with acrylic paint and a sponge brush). 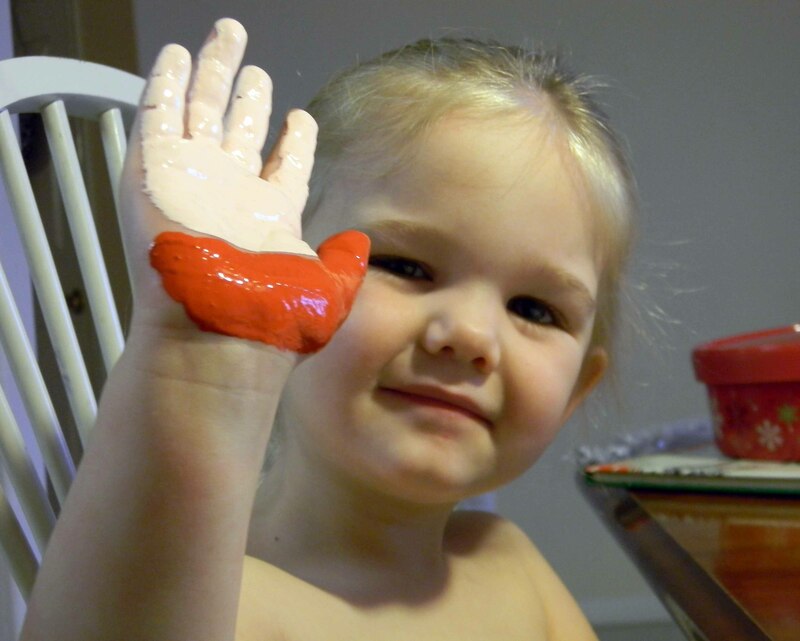 Then the fun part: I painted Remi’s hand, much to her delight, and had her press it onto white cardstock. 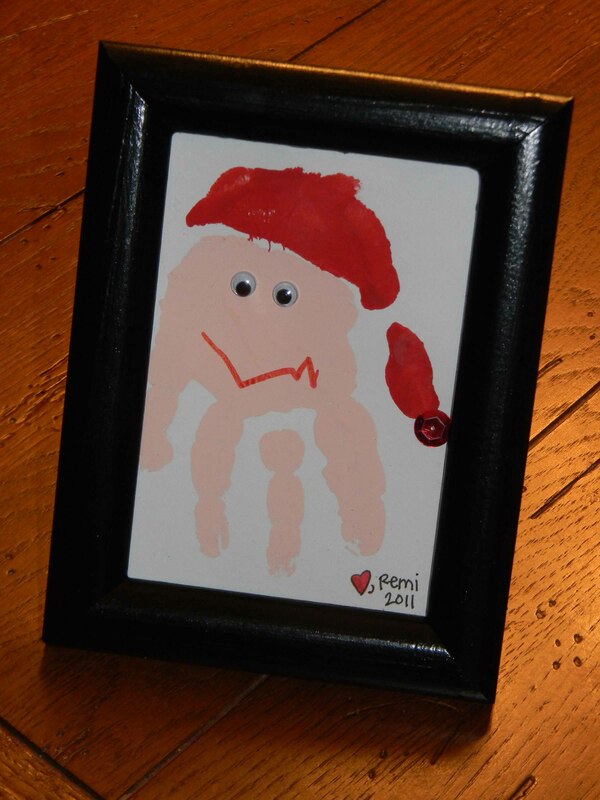 I love how it turned out…so much that I had her make another one for our family. I’m excited about the thought of pulling it out to display each Christmas and remembering how tiny those chubby hands were this year. How cute! And if you did one with everyone’s hand in a wreath shape….how cute would that be, too. I’ll have to put that on my outlook calendar—remind Amy about handprint wreath.